Proudly Serving the Greater Alpharetta Area! We use Angie's List to assess whether we're doing a good job keeping valued customers like you happy. Please complete your review at AngiesList.com in order to grade our quality of work and customer service. Whether at home or at your place of business, having plenty of hot water available is important. It is also vital to "think green" by replacing your older, inefficient water heaters with new, energy-saving models. Consider replacing out-dated water heaters with the newest technology, tankless water heaters. 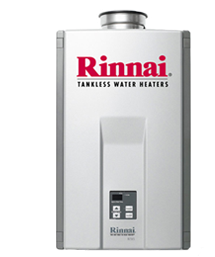 Tankless water heaters provide an endless supply of hot water while significantly reducing your energy costs. At any time of day or night, if you need hot water at your place of business, call the experts at Omni Plumbing. Not having hot water can have a significantly deleterious effect on both your customers and your employees. Having an adequate supply of hot water at the workplace is necessary for the health and comfort of everyone. 24/7, we are available to replace the broken water heater at your home. Don't let an out-dated water heater be a source of aggravation to you. The plumbing experts at Omni Plumbing will replace that old water heater with a new, large-capacity and energy-efficient model, one that will provide you with plenty of hot water for bathing, laundry and even the dishwasher. Never run out of hot water again! 678-886-3121, in Alpharetta Georgia. We will give you expert, honest and courteous plumbing advice. With a tankless water heater you will get endless hot water. Tankless water heaters heat water on demand, and that means you never have to worry about running out of hot water. Imagine the luxury of always having enough hot water for everyone to enjoy and relax - hot tubs, showers and still have an endless supply for the rest of your household needs. With a tankless water heater, water is heated as it passes through the unit so you will always be using a fresh supply of water. As the years pass by, traditional tank water heaters start to rust and build-up scale inside the tank, which is where your hot water is being stored for use. 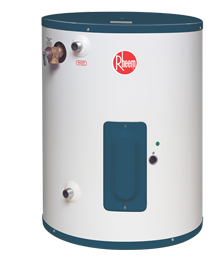 Compared to traditional water heaters, one of the most obvious differences is its small size. Compact in design, tankless water heaters can be installed virtually anywhere. Tankless water heaters mount on the wall, inside or outside. Depending upon what your needs are, if you want fast hot water delivery, you can actually relocate the tankless heater closer to the fixtures you use most often. Therefore, a tankless not only saves you space, but can also save you water. Relocating a big, bulky tank to a location that makes more sense would definitely be a challenge. With a tankless water heater, you'll save energy and thus, money. Our on-demand systems require no pilot light and can save about half the cost of your current water heating bill since there is no re-heating of water as with traditional water heaters. Compared to a tank water heater's 60% efficiency, 85%-98% energy-efficiency levels make tankless water heaters much more eco-friendly. Tankless water heaters are extremely durable, lasting two times longer than traditional tank-type water heaters, and require little maintenance. They are also extremely well designed so that any single part of the heater can be replaced and fixed. Want to learn more about Tankless Water Heaters? Feel free to contact us for an on-site visit from a top-notch tankless technician. We standby ready to answer your questions about the different units, as well as help to select the optimal place in your home for the installation. We also accept debit cards as well as personal checks.